1. YOU MUST BE A DEALER, TRADE, GARAGE OR CONNECTED TO THE CAR INDUSTY. 3. YOUR CREDENTIALS ARE VERIFIED. 4. WE WILL THEN ENABLE THE TRADE/RETAIL BUTTON ON THE WEBSITE. 5. ORDERS MUST BE PAID FOR BY CARD. 6. CREDIT ACCOUNTS CAN BE APPLIED FOR, BUT ARE DEPENDANT ON VOLUME. 7. 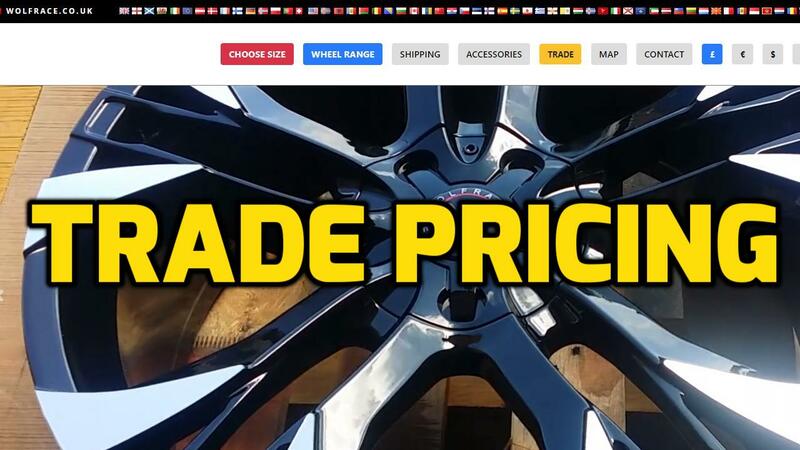 PRICES ON THE TRADE SITE ARE LESS VAT, WITH TRADE DISCOUNT APPLIED.